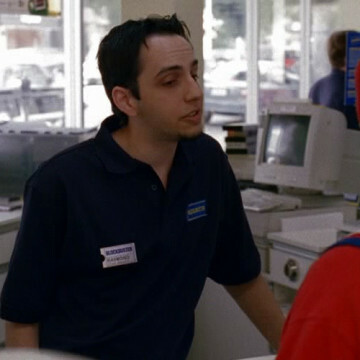 During S02E13, Drama and Turtle catch Mandy and her ex-fiance out and returning movies behind Vince’s back. They pay a visit to Blockbuster in an attempt to learn what was rented, which they hope will offer some insight as to how the two spent their time together. The female Blockbuster employee refuses to divulge the name of the movie but Jarrett Lennon’s character is happy to share… for the right price.